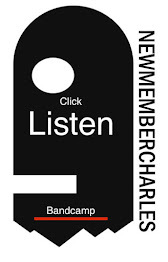 8/17/2013 Vaudeville Mews PBR back bar Camping Party, New Member charles plays live 9:00-10:00 pm, New Member Charles Serves hot dogs and DJ's 10:00-midnight. NO COVER! Tue, 8/21/12, Vaudeville Mews with Broncho, doors 9:30 show 10:00 5.00 bones, one more act comming soons,maybe. April 26th Vaudeville Mews, doors 9:30 pm with Terry Malts and Sudden & Subtle, 7 bones. Sat 12/3/11 Vaudeville Mews, w The Big Tuxedos, Santah and Ben Wantland doors 5:00 show at 5:45, all ages- 5 bones. Saturday 10/22 @gaslamp 9:00 pm with Love Songs For Lonely Monsters, free, Brian Gellerman free the World Birthday Celbration. Friday 8/19/11 @ Vaudeville Mew, With Everyday Everynight and Love Songs For Lonely Monsters...more details to come. Who is New Member Charles? New Album and CD Release June 18th!!! New Member Charles 2011. Travel theme. Powered by Blogger.